As an Agama student Phanganist exclusively offers you 15% off of your stay at Phanganist hostel. This hostel is a lifestyle experience for people who are searching for the ultimate spot in an affordable cost on the Island of Phangan. This enchanting typical modern styled hostel is a perfect place to escape and a glorious base for your time at Agama. 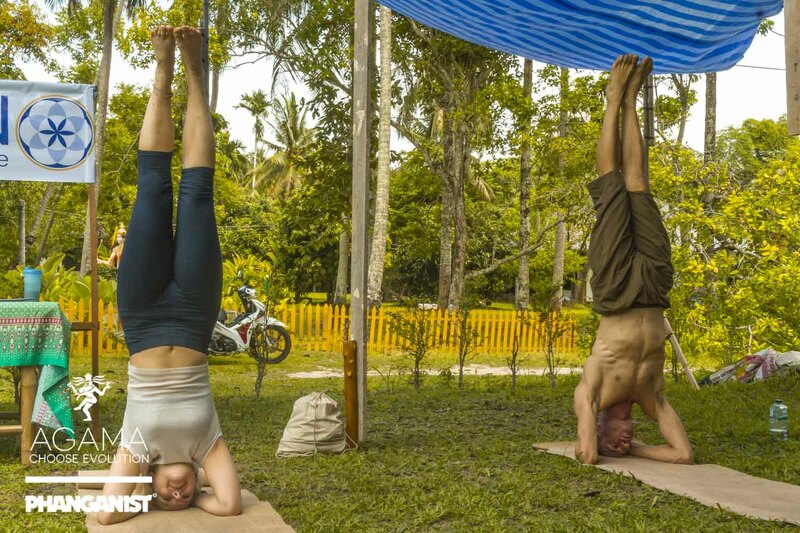 As the location is 15 min drive from AGAMA you are not in the centre of Yoga land and have the option to see other parts of Phangan while doing your training. Phanganist hostel located in the heart of Koh Phangan perfectly between the famous Full Moon Party Beach of Haad Rin and the chilled out vibes of the West Coast, everything is easily reached from Phanganist Hostel and Headquarters. 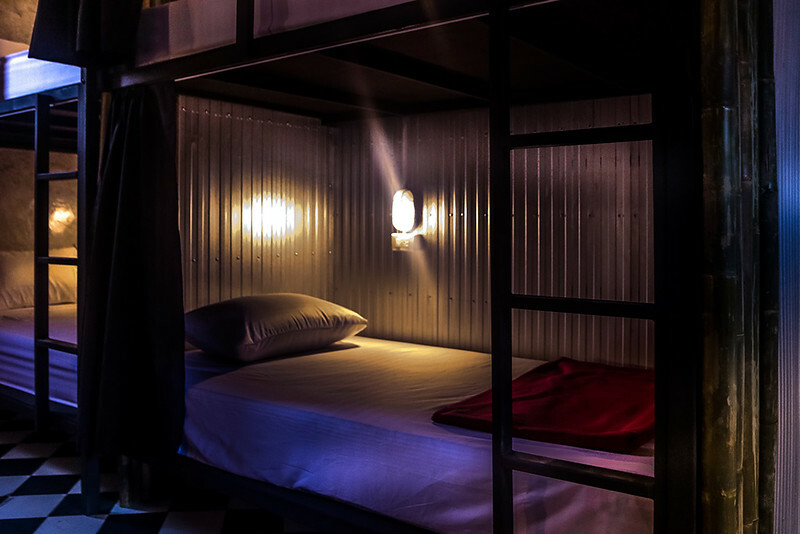 We have pushed the standard of dormitory to a all new high, offering guests clean quality AC rooms with bed separation, privacy curtain, light and power outlet and big lockers, so you can kick back and relax in the privacy of your own bunk. You will have the world of this magical island at your feet here and we are so more than just a place to stay…. We have a brand new swimming pool complete with large sun deck and sun beds, a poolside bar, pool table and platform space for yoga, dance, fun and shenanigans. Cool off with a swim and meet other guests and friendly staff whose mission is to make sure you have the best real Koh Phangan experience whatever desire or direction you want to take. If you want some ocean action the beach is only a five minute walk from the hostel and if you want to go all out exploring the island, we have taxis who can pop you over to great beach locations like Bottle Beach and other fun attractions Koh Phangan has to offer. Your Next Level Hostel at the Beautiful Infinity Beach Club on Koh Phangan!